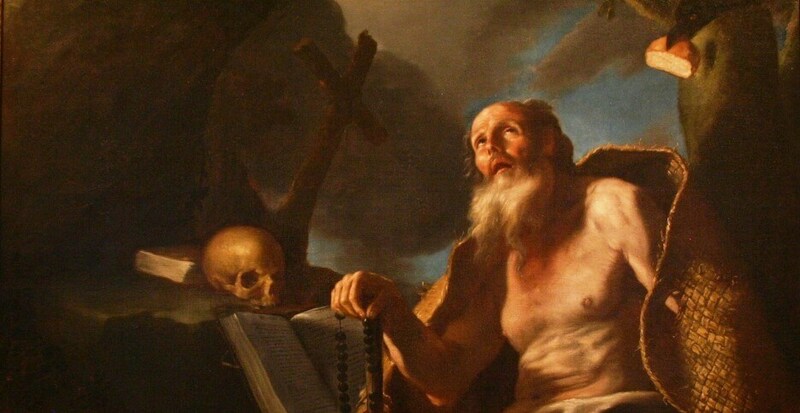 The full name of the Pauline Order is: Ordo Sancti Pauli Primi Eremitae – Order of St. Paul the First Hermit (OSPPE). 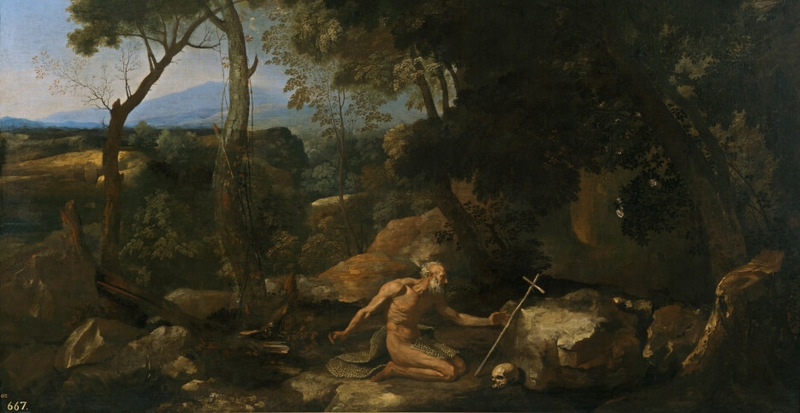 The name is derived from the name of St. Paul the Hermit of Thebes, who lived in southern Egypt in the years 228 – 341, and who was officially recognized by the Church as the first hermit during the canonization, which took place in 491 in Rome, under Pope Gelasius I. The Pauline Order was founded on the Hungarian soil. The first Pauline community was formed by Bartholomew, bishop of Pecs, who gathered hermits scattered in the woods and rock caves. In 1225, for these hermits of the region he built the convent and the church of St. James at the mount over Patach and prescribed the first rule setting the style of monastic life. However, the father and founder of the Pauline Order is believed to be Blessed Eusebius of Esztergom, who under the influence of revelation representing many small flames come together in one great flame, together with the first of his disciples – Stefan and Benedict, founded the monastery of the Holy Cross on the mount Pilis, where he immediately began to live according to the rule of St. Paul the First Hermit, cultivating particular devotion to Our Lady. In 1250 both monasteries have joined together under the guidance of Blessed Eusebius. 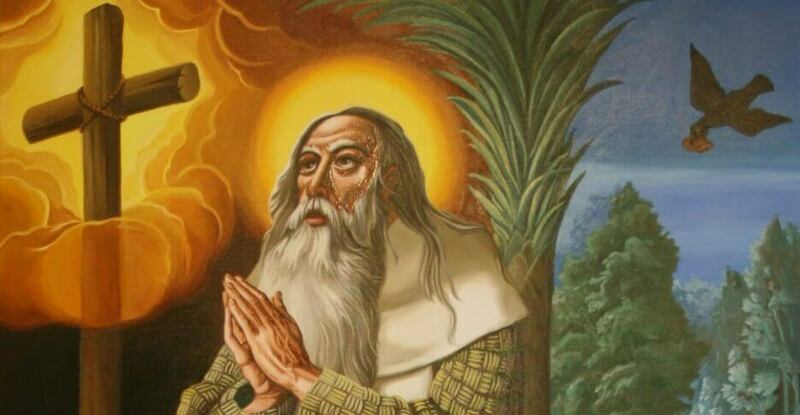 The newly formed religious community since 1263 took the name of “Brothers of St. Paul the First Hermit.” In 1308 Cardinal Gentilis, legate of Pope Clement V, in the name of the Holy See prescribed to the monastery the rule St. Augustine and officially approved the Order of St. Paul the First Hermit. A year later, the first religious constitutions were approved. The Order spread to Hungary and the Balkan Peninsula, to Poland, Austria and Germany, and was also known in Italy, France, Spain and Portugal, from where he reached South America with the first pioneers of Christianity. From Hungary the Pauline Order spread to the area of Croatia, where about 50 monasteries were founded, and in Remete the first Marian shrine of the Order was built. In Croatia, the first Pauline breviary and the missal were introduced. The Pauline friars ran their own schools and the university. From among the members of the Pauline Order descended bishops, and even one cardinal – a martyr. The Pauline Order was brought from Hungary to Poland, from the monastery Márianosztra (Our Mary) by Prince Ladislaus of Opole. The Pauline friars arrived in 1382 in Czestochowa and received Jasna Gora hill with a small church dedicated to Our Lady. The miraculous image of the Blessed Mother, for centuries surrounded by great reverence and brought by the founder of Belz was soon placed trhere. In the course of the history Jasna Gora became the spiritual capital of the Poles, a symbol of fidelity and religiosity of the nation, as well as the first Pauline monastery in Poland, mother of other religious houses. The peak of development was reached by the Pauline Order in the sixteenth century, when the number of monasteries in the European countries and even in Palestine and Egypt, in 8 provinces, reached 300. The defeat of the Hungarian army at Mohacs in 1526 brought great destruction to the Order. The Turks destroyed dozens of monasteries, they burned libraries and archives, and many monks suffered martyr’s death. The rest of destruction was completed by the Reformation. After the defeat in Hungary, the center of religious life began to slowly move toward Jasna Gora. Foundation of the Jasna Gora monastery gave rise to new houses in Poland. The monasteries were founded in Głogów (1388) Wieluń (1394), Wieruszów (1401), Beszowa (1421), Brdów (1436), Pinczów (1484), Oporów (1453), Krakow (1472), Wielgomłyny (1476) Konopnica ( 1632), Łęczeszyce (1639), Święta Barbara in Czestochowa (1646), Topolno (1658), Warsaw (1661), Włodawa (1698), Leśniów (1706), Leśna Podlaska (1727), Stara Wieś (1728), Niźniów (1740). The Pauline fathers quickly gained approval and support from the nobles and, above all from the numerous ordinary faithful. Since the seventeenth century the Order experienced its heyday on Polish soil. The Pauline friars entered a very vivid and vibrant period of apostolic activity, teaching the people through missions. They became engaged in scientific work, and often stood at the head of the national uprisings, as defenders of the church and the nation. In the late eighteenth century Polish province had more than 80 monasteries, residences, parishes and Pauline administrations. The monks continued to expand with their pastoral work, caring for the sick and suffering. At that time, also new churches and other buildings were erected in the simple and beautiful style developed by the Pauline Order (churches in Warsaw, Krakow, Leśna Podlaska). Partitions of Poland and period of national captivity became a very unfavorable time for the Order. The Order, being at the peak of its pastoral and intellectual development (university at Jasna Gora and in Krakow), was hit by the suppression of religious orders. Of all the existing monasteries in the former Polish-Lithuanian Commonwealth, the invaders, by decrees of cassation, closed down monasteries in Wieluń, Beszowa, Brdów, Pińczów, Oporów, Warsaw, Wieruszów, Stara Czestochowa, Konopnica, Włodawa, Leśniów, Leśna Podlaska and other towns and cities. Only two monasteries survived this historical turmoil: Jasna Gora and Krakow, becoming the houses independent from each other. After Poland regained its independence, a slow rebirth of the Order began. In 1920 monasteries of Jasna Gora and Krakow merged and convened the first general chapter, at which Peter Markiewicz was elected General of the Order. In this period, the organization of the Order consisted of three houses: in Jasna Gora, Krakow and Leśna Podlaska (since 1919). After World War II the Pauline friars returned to other former houses, recovering, among others, those in Warsaw (1950), Brdów (1952), Wieruszów (1983) and others. Currently, the Pauline Order is still developing. In Poland, apart from Jasna Gora, where there is the General House, the Pauline monasteries and religious houses are in Bachledówka near Zakopane, Błotnica near Radom, Brdów, Czestochowa – Święta Barbara (house of Novitiate for the brothers), in Krakow at Skalka (Monastery and Seminary), Leśna Podlaska, Leśniów – Żarki (house of Novitiate), Łęczeszyce, Oporów near Kutno, Łukęcin, Pauliny-Mochów, Toruń, Warsaw, Wielgomłyny, Wieruszów, Włodawa, Wrocław and Żarki-Letnisko. The Pauline Order also has monasteries in many European countries (e.g. in Hungary, Croatia, Slovakia, Germany and Italy) and is present in the United States and Australia, as well as in the missions in South Africa and Cameroon. At present the Order has approx. 490 members. Through the centuries, the spiritual profile of the Order and its mission have changed. From basically a hermitic character of the original community, through changing circumstances over time, and opening up to the signs of the time, it took on the characteristics of the active-contemplative community. The specificity of the Pauline Order includes a fairly wide group of characteristics that constitute the charism of the Order. These are: the contemplation of God in solitude, love of liturgical prayer and penance, Marian devotion, pastoral ministry to the pilgrim people of God. CONFESSION : On Sundays and holidays during each Holy Mass On weekdays: – during Holy Mass at 7:00 a.m.; 8:00 a.m. and from 9:00 a.m. to 12:00 a.m. and 2:00 p.m. to 5:30 p.m.